I remember so clearly the first time I had a photo published. I was walking down the street in the wee hours of a Scottish morning in Edinburgh, perhaps somewhat intoxicated, with some of the cast of a play I had photographed for the Edinburgh Fringe Festival a few months earlier while I was still living in London. It was 2003. I was 23 years old & hoped one day photography would be my career. I remember the excitement like it was yesterday. They knew an article was coming out on the play – written by Australian playwright Van Badham – in the Scotsman Newspaper & so we found a copy & I looked on as they leafed through the pages looking for it. I couldn’t believe it. A half page article, with a good chunk taken up by my photo. I didn’t do a particularly good job of the shoot… but one shot worked out and it got printed! That’s all that mattered at the time. It was on that particular shoot, while up a ladder with my camera, looking through the viewfinder at a bunch of actors, that I had a very clear, real moment, of finally knowing what I wanted to do with my life. And more importantly, believing it would happen. Fast forward 13 years (eek, I’m getting old!) 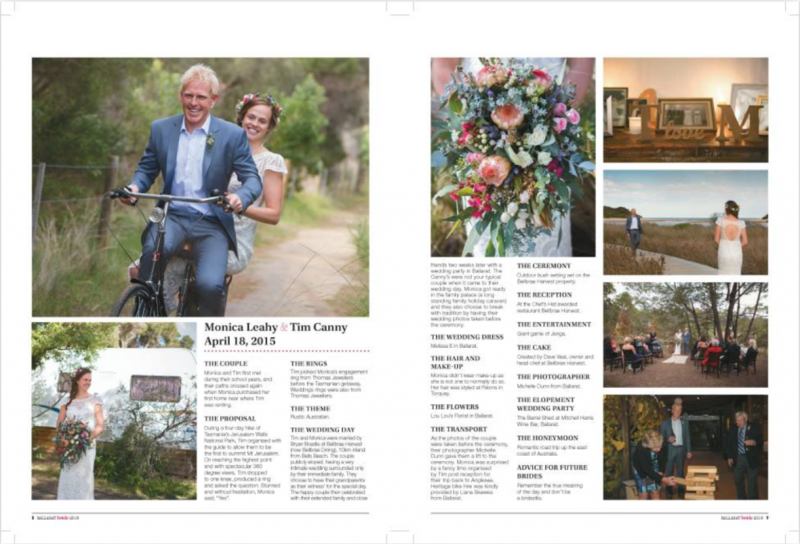 and last month I felt exactly the same excitement seeing my wedding photography work published on the cover of two magazines – Absolute Weddings Magazine & The Courier’s Ballarat Bride. In fact, every time I see my work published, I feel the same way. I can’t quite believe it. 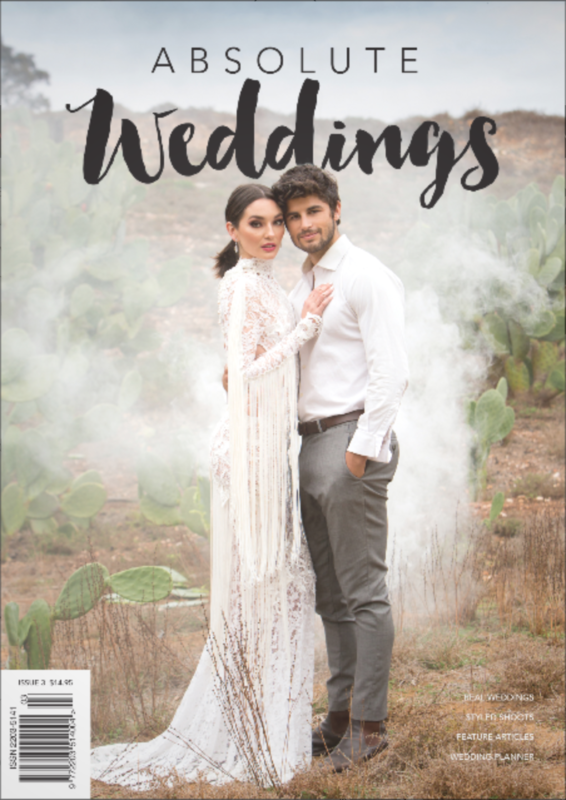 When the editor of Absolute Weddings approached me to be part of the (totally amazing) creative team for this years cover shoot, I jumped at it. The idea was awesome. 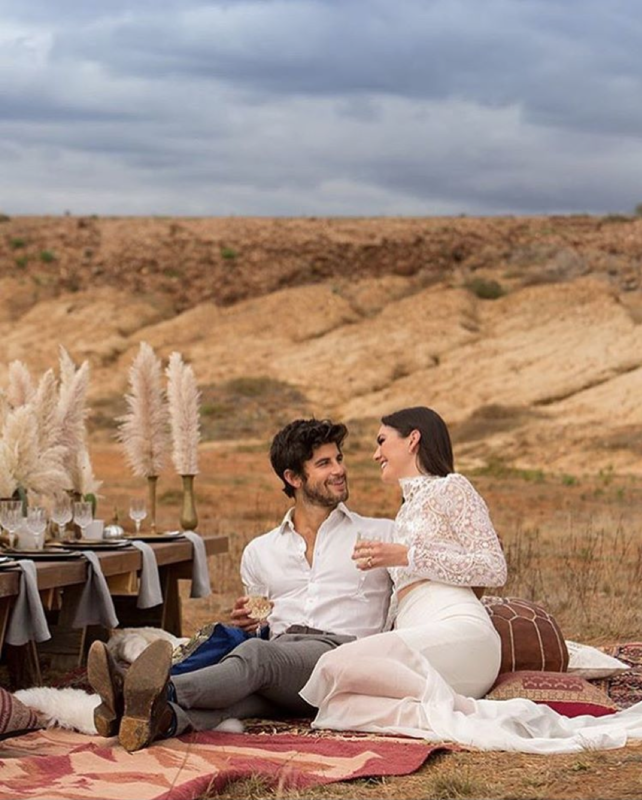 “It will be a desert feel, boho, with Cacti”, Renee said. “Let’s add some smoke bombs!” I said. Then I went and googled what Boho was. Renee has such an amazing vision & ability to pull together really incredible teams of people, so I knew it was going to be great. Everything came together – even the weather couldn’t have been more perfect, with that beautiful diffused light & brooding skies setting off the rich colours of the surrounding earth. You’d never guess we were by the train line in Bacchus Marsh dodging the discards of junkies needles. 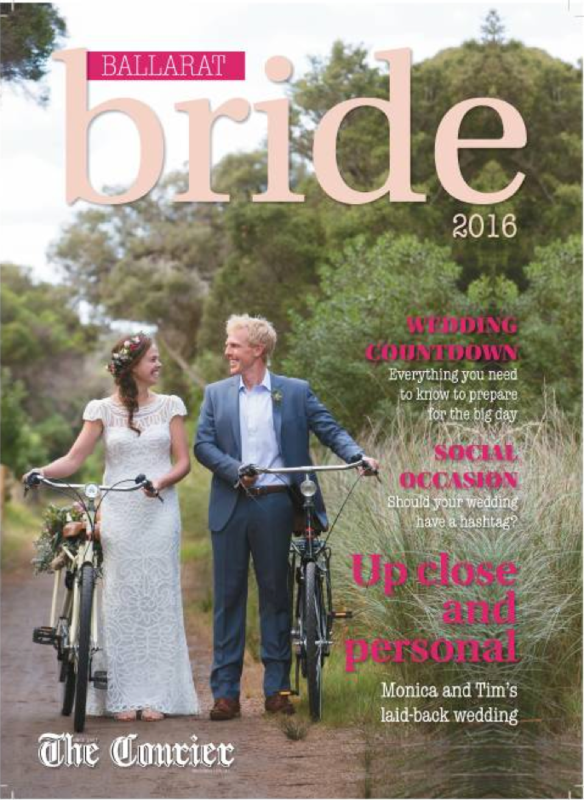 Around the time we did the shoot above, an email landed in my inbox – “It’s that time of year again where we are on the quest to find the perfect cover pic for Ballarat Bride 2016.” I think I’ve submitted images every year since I moved to Ballarat in 2011 & this year I thought I’ll give it a miss. But then Mon & Tim’s wedding day popped into my head & I thought, how can anyone not love that day?! This was a real wedding day, & my wedding photography that captured it, which started with Mon getting ready in her family caravan down at Anglesea. These two are so down to earth, chilled out & totally lovely, it was like being part of the family. Both Mon & Tim live in Ballarat & run businesses here, so of course after this intimate celebration, the two held another party for friends back at Mitchell Harris Wine Bar. Definitely one of my favourite weddings to be part of. So with all the excitement, I’m also wrapped with how many bookings are filling up for 2017 & even 2018 – there’s so much love to celebrate! If you’re getting married, like my style of wedding photography & want to find out more, I’d love to meet you both so drop me an email & we can get the ball rolling.